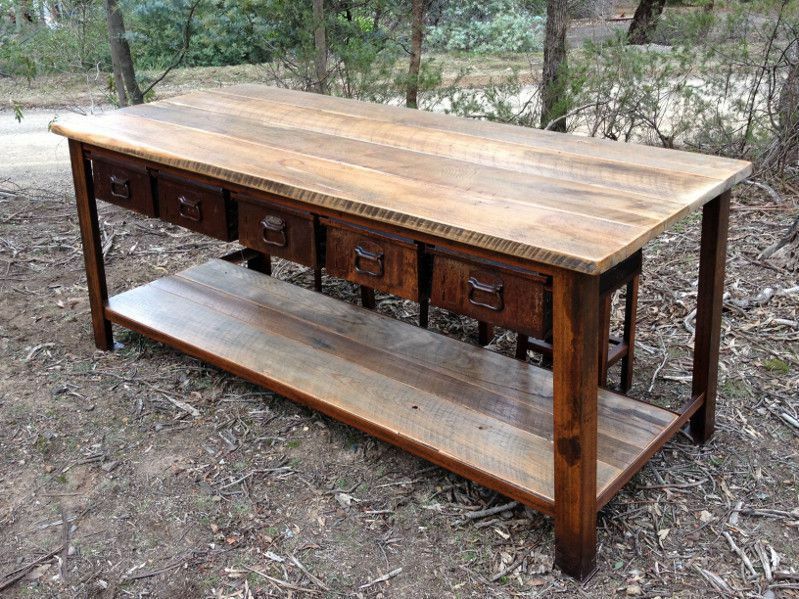 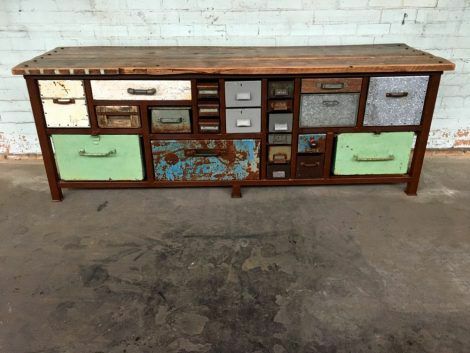 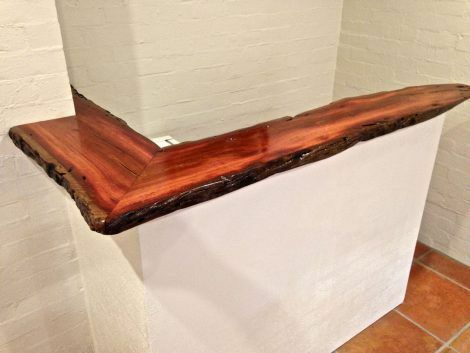 Rusted steel frame with reclaimed hardwood and rusted steel feature drawers. 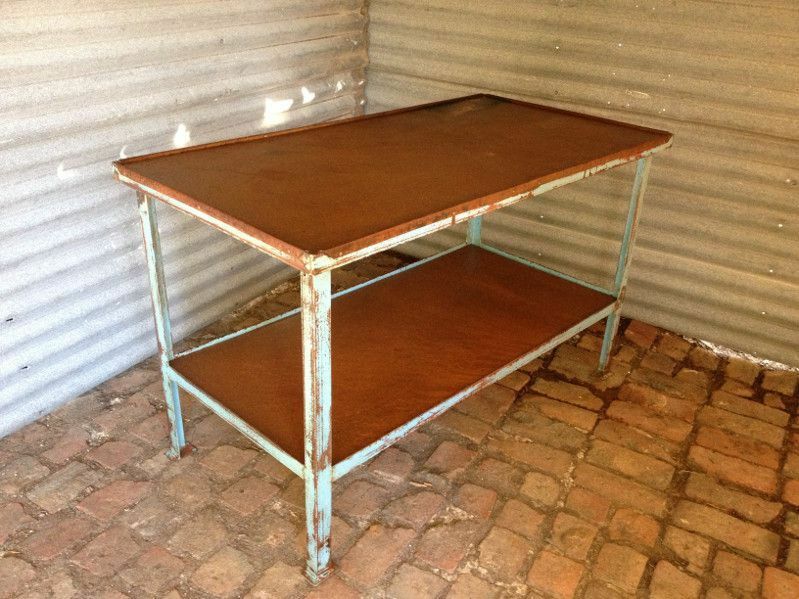 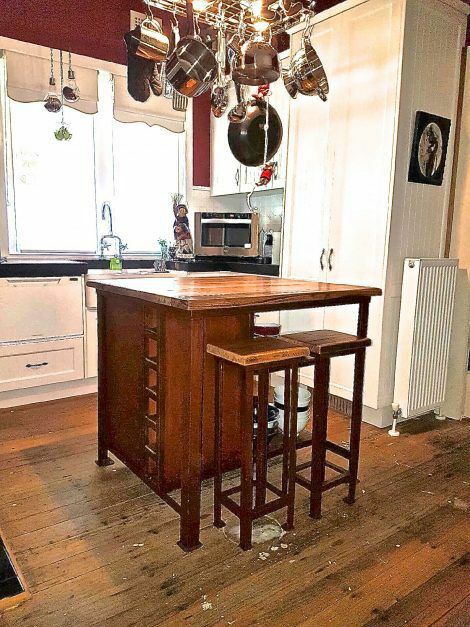 Three matching stools, rusted steel frame with timber tops. 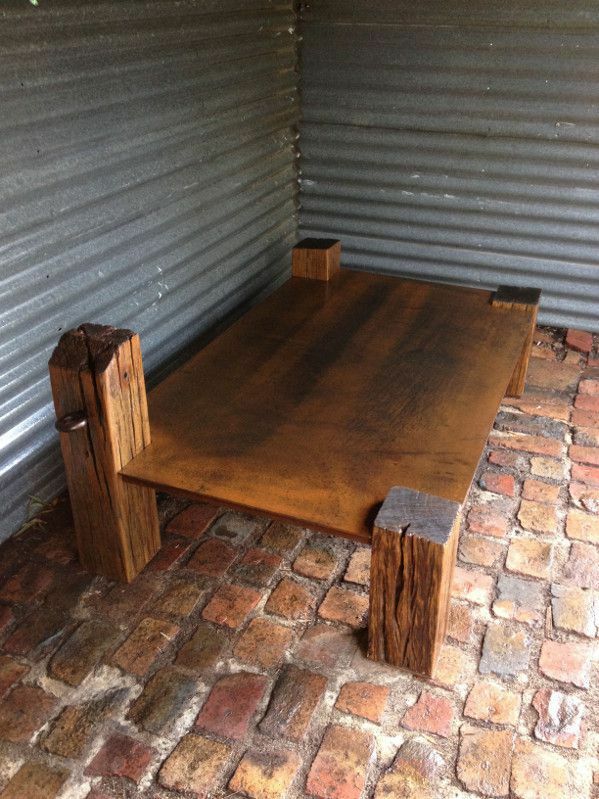 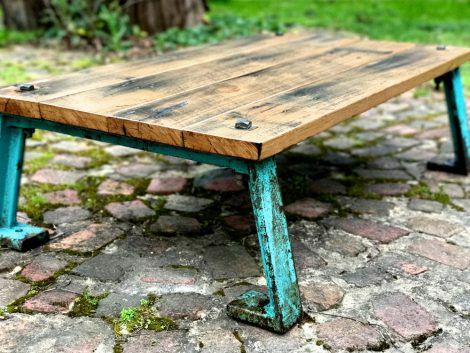 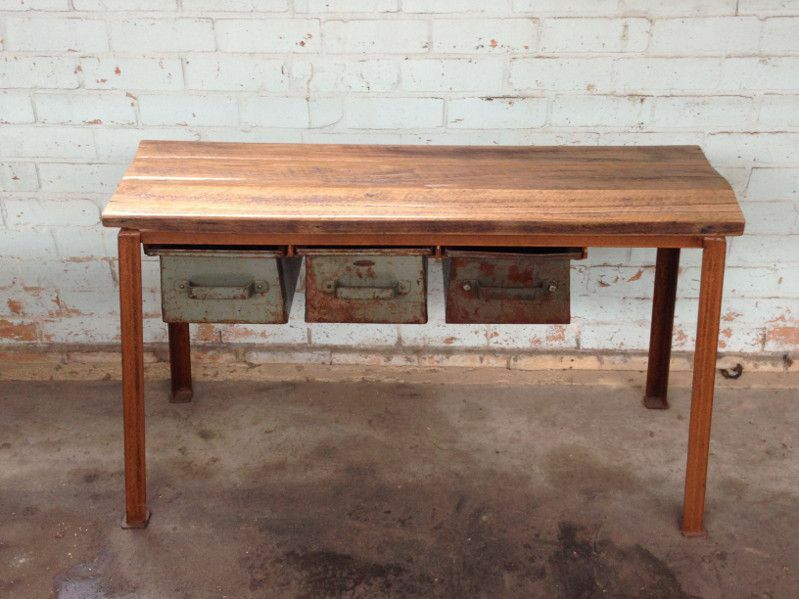 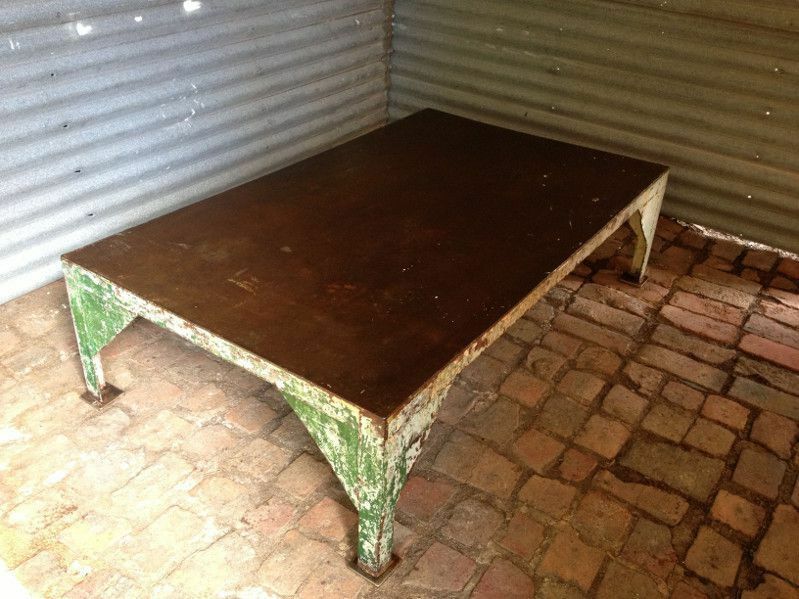 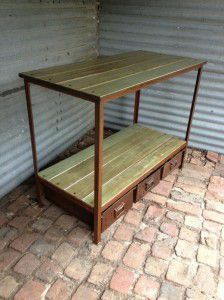 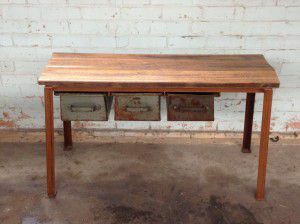 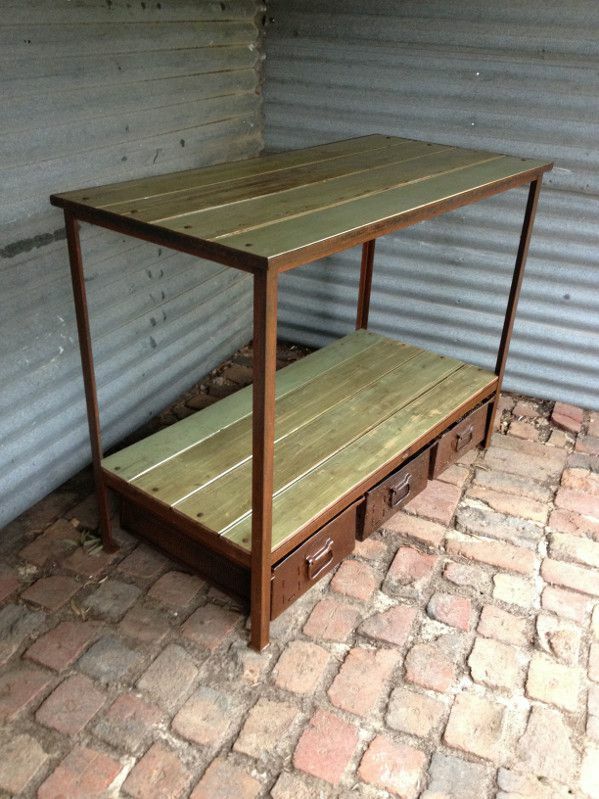 Industrial steel coffee table upcycled from a workbench from a TAFE automotive college.